In the time of Ottoman Empire, the relations between Turks and Frenchs were deeply ancient. The distinguished examples ot the European cuisine are served especially in the restaurants of 5 star hotels. The kitchens of these hotels are directed by the most reputable and prestigious chefs of Europe. Special “taste nights”, introducing the dishes of European cuisine are frequently organised in 5 star hotels. On the other hand, there are many restaurants, other than those of 5 star hotels, in Istanbul. You long for a good “Chateaubriand” or a French style cream of onion soup. 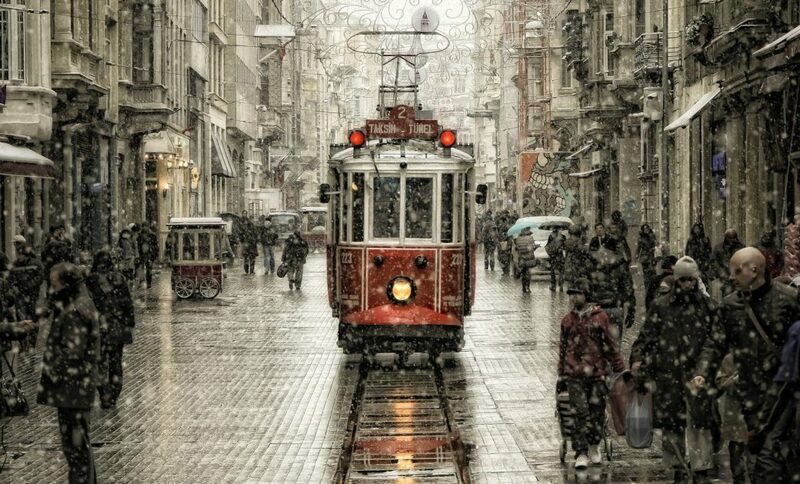 You do not have to dream it in Istanbul. You can give yourself an “a la Frangaise” feast of taste at one of the French restaurants in Istanbul that can compete with the ones in Paris in terms of taste as well as ambience. You may also choose to enjoy the warm atmosphere of French style bistros. “Healthy nutrition” is the “rising trend” in Turkey, as it is all over the world. The number of people preferring “healthy alternative nutrition methods” instead of the “risky tastes” Including “much cholesterol and calorie” are Increasing, especially among youngsters. Thus, the vegetarian restaurants in Istanbul become widespread and their menus are varied with interesting inventions. The Chinese restaurants have become the common colours of Istanbul. You can taste the specialties of the Chinese cuisine in an authentic atmosphere in these restaurants, whose staff is mostly Chinese. The first Chinese restaurant in Istanbul was founded in Taksim some 25 years ago by Ahmet Wang from East Turkistan, however it is not possible to know the number of the Chinese restaurants in Istanbul today. The Chinese and the Far Eastern restaurant managers are happy in Istanbul, so are the people. There is no cuisine as rich as traditional Turkish-Ottoman cuisine in the world. Because this cuisine is a harmonious synthesis of the local cuisines tastes that forms the Turkish-Ottoman social and cultural mosaic. The number of people in Istanbul devoted themselves to survive the traditional cuisine culture is not little, Turkish-Ottoman cuisine still keeps its position at the top. Kebab (kebap) and “ocakbasi” are inevitable parts of Istanbul life. There is no need to go to those cities for tasting the delicious kebabs of Adana. Urfa and Antep. Today, the great masters of kebab art show their skills in Istanbul and present magical tastes. Kebabs decorated with aubergine, tomato and plenty of pepper strike the world with admiration. The kebabs with hot and mild Adana, Urfa and Gaziantep style sizzling on the “ocakbaSi”s draw people like magnets.